Welcome to the vintage pictures page. 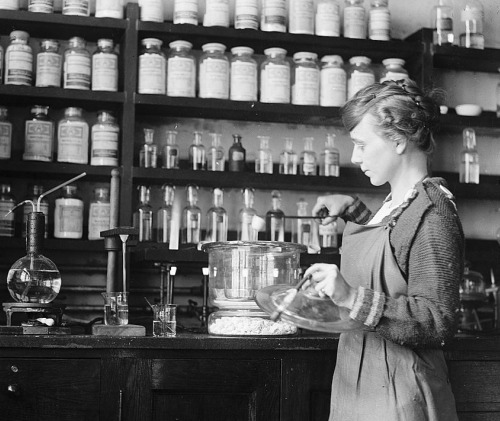 Please feel free to download and use any of the vintage science pictures featured below in your science projects, presentations, lectures, teaching materials etc. 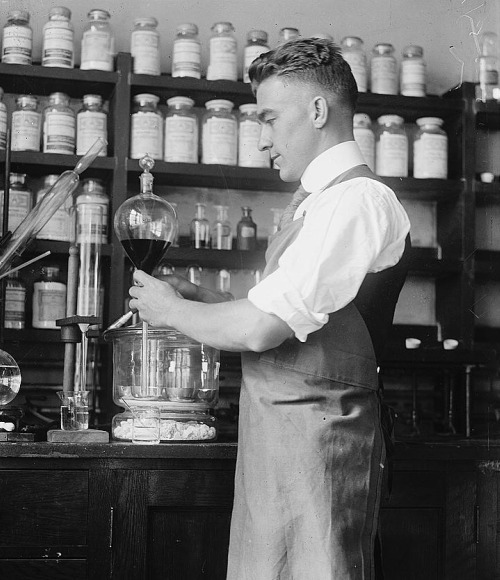 This excellent collection of vintage science pictures complete with title and description when available comes courtesy of the Library of Congress. Each picture is listed as having no known restrictions on publication, although we do ask that if download and use any of the following pictures, to please include the following information. standing: Miss Nellie A. 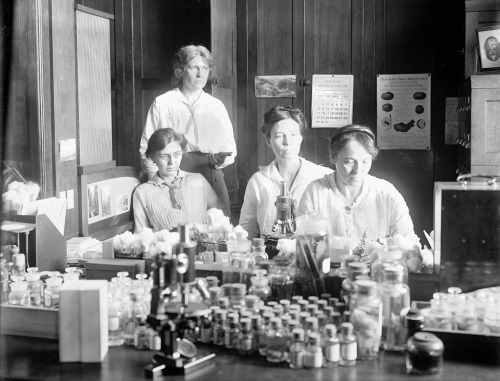 Brown; L to R: Miss Lucia McCollock, Miss Mary K. Bryan, Miss Florence Hedges. The belief that water freezes at 32 degrees fahrenheit has been blasted by Dr. N. Ernest Dorsey, scientist of the National Bureau of Standards. Neither does all water freeze at the same temperature. These discoveries have been made by Dr. Dorsey after experimenting with 37 specimens of water taken from lakes, canals, and other sources. He has cooled water until it was minus 6 degrees fahrenheit that is, 38 degrees colder that the so called freezing point of 32 degrees. Yet it remained liquid. 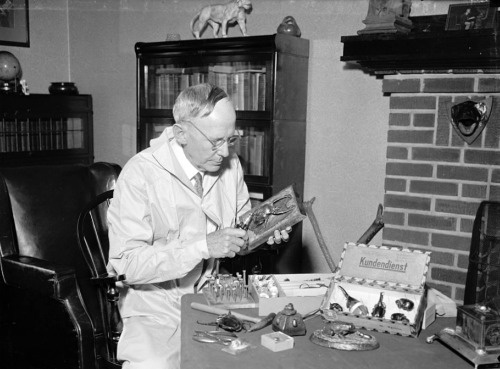 William R. Walton, Senior Entomologist of the Division of Cereal and Forage Insects, U.S. Department of Agriculture, whose unique hobby is the making of metal casts of all sorts of insects from the tiniest Scarab to the enormous six-inch Goliath Beetle, which feeds on the tropical vegetation of New Guinea. In his distinctly original work Mr. Walton uses the Galvano-Plasty method of metal coating, which he set about developing over 30 years ago. 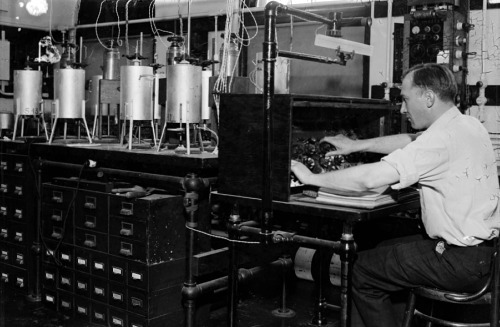 This is an electro-mechanical process similar to the electrotype process used in making newspaper cuts. 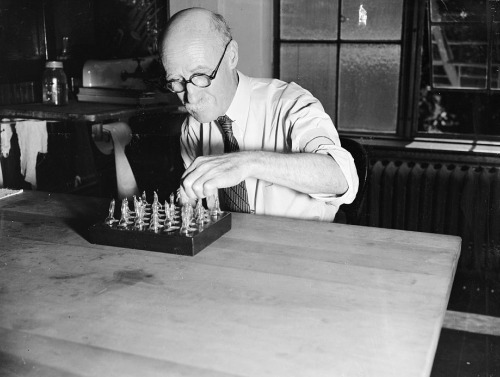 The old question "why is an earthquake," and many other geological mysteries important to man, are being probed by scientific gadgets such as the two pictured here at the Geological Laboratory of the Carnegie Institute. The scientists work and apparatus will be studied by geologists from all points of the country when the Geological Society of America meets in Washington December 28-30. Dr. J.F. 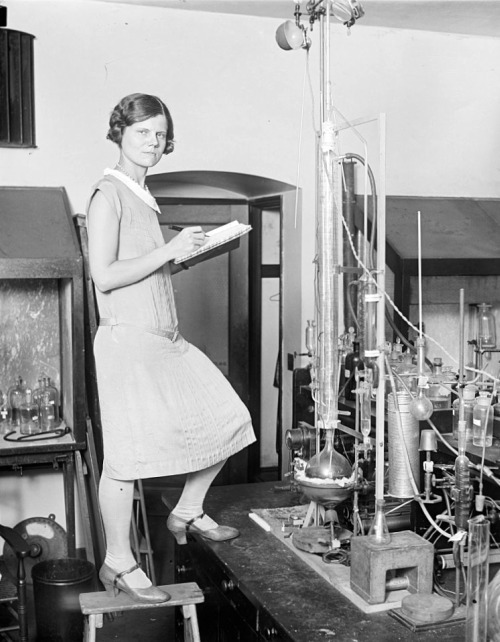 Schairer, physical chemist of the laboratory is shown at the instrument panel of one of the cylindrical electrical furnaces which generate heat up to 2100 degrees Fahrenheit, melting artificial rock in the study of crystallization or cooling of rocks from volcanoes.